Can We Bring In Food To The Studio? 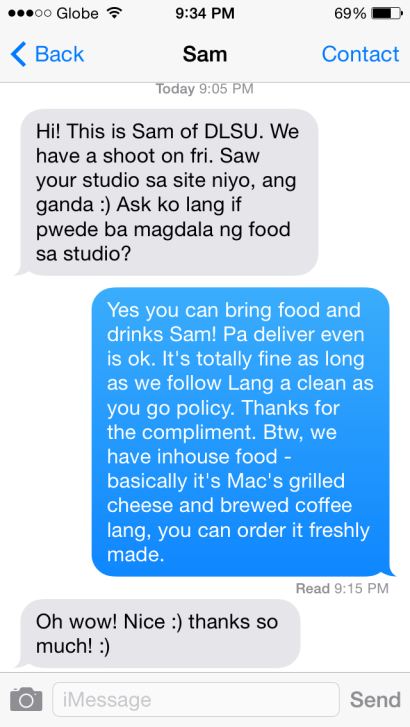 Clients who rent the studio can bring in food and drinks to the studio. We are a feel at home good vibes studio. Just help us spread the good vibes by following a strict clean as you go policy. Our staff are always willing to help clean after you shoot. But we appreciate the good deed.